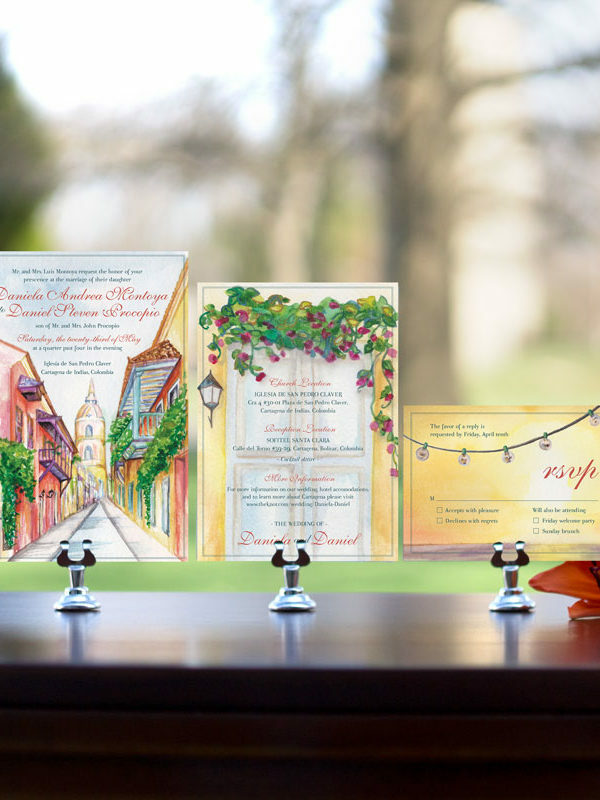 The July Fourth Wedding invitation is perfect for couples getting married in the summer over Independence Day. 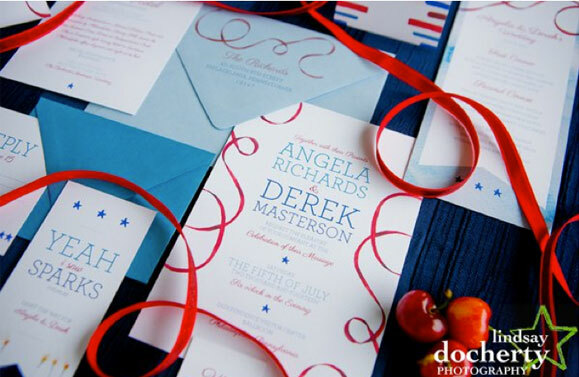 It is also perfect for couples looking to have a patriotic wedding, perhaps because one or both of the partners are in the military. 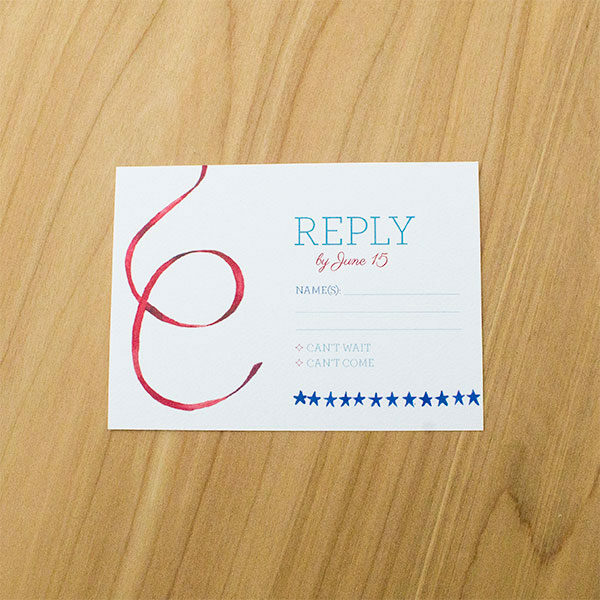 The patriotic theme is subtle through the red ribbons and small hand-painted blue stars. 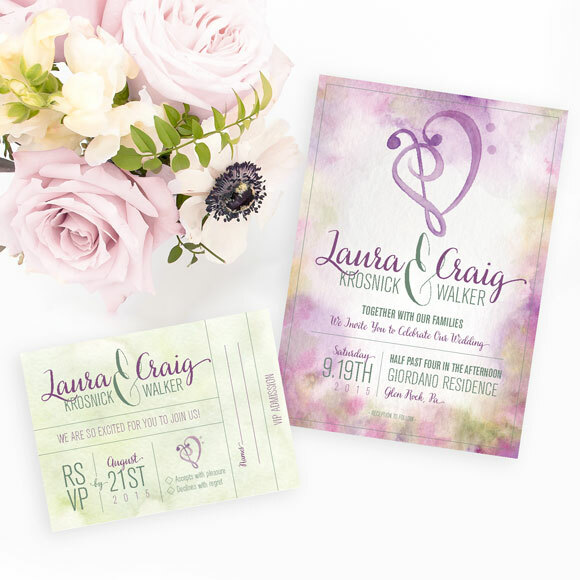 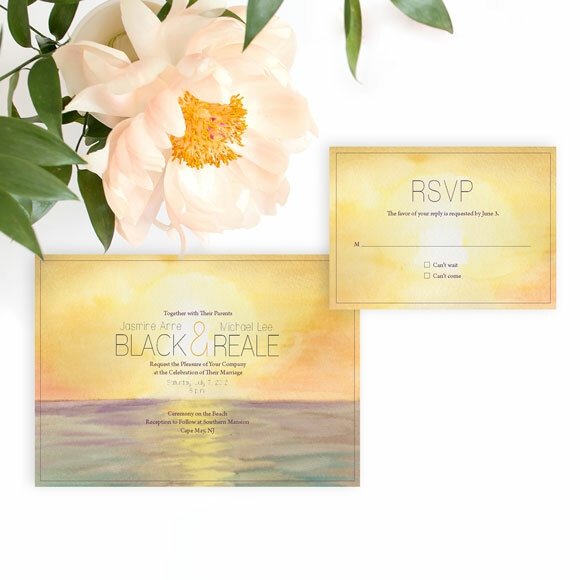 This invitation was featured on 100 Layer Cake blog.